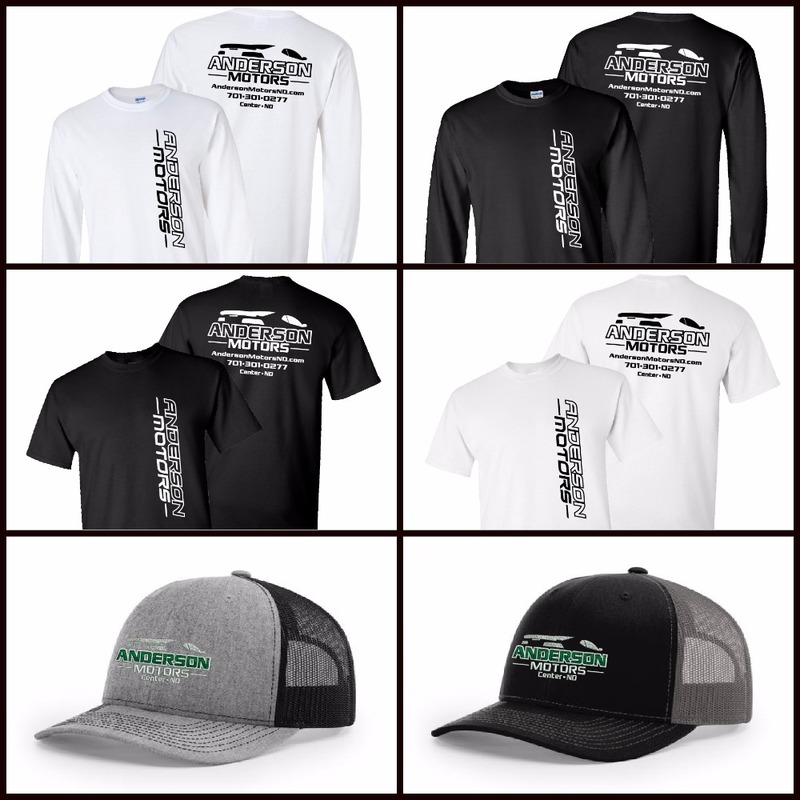 Some Anderson Motors gear available for purchase! Many different color options for the shirt and the print avaibale. Any questions Call/Txt/Email to make your order and get it shipped to your door!